What do you do when death’s bony finger singles you out, “You’re next, Dan.” Not the spotlight you want to be in! During his life, Dan Vukmirovich lost his grandfather to Type 2 diabetes. Then his father. Ouch. It’s a wake up call to see this family pattern. Dan’s own health was a runaway car, hurtling to the same destination: diabetesville. Two years after his father’s passing, he saw himself in the mirror and discovered a shocking truth: he was becoming his dad. But great things have small beginnings. With a seemingly harmless shift in his thinking, Dan worked hard to fix his health in a matter of months. At first, the effort was so great and results unimpressive that he almost quit. But he’d come too far to throw it all away. If he quit, he knew what was waiting for him. 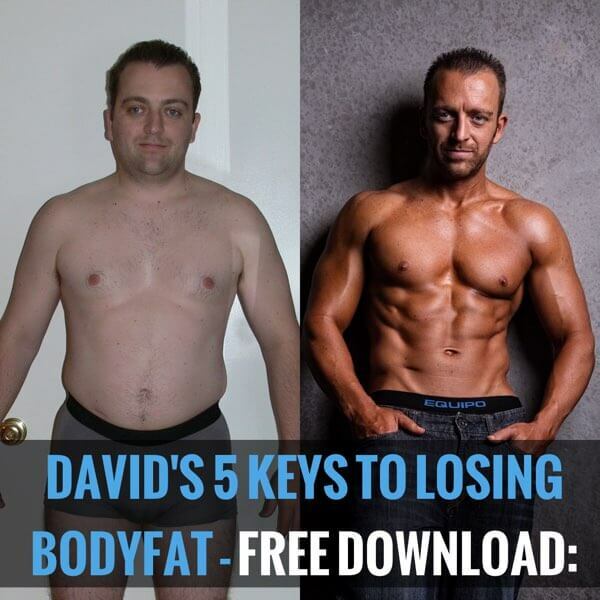 Dan sought support from a BeachBody coach. His results skyrocketed and he regained super confidence. While exercising, he burned off a whopping 20lbs and got his body fat to an amazing 7.6%… can you say gladiator status! 1) What were your before/after stats (weight/body fat)? Before: 167lbs, about 23.7% body fat. After: 148lbs, about 7.6% body fat. 2) What your life was like before and how it has changed/improved? My father (and grandfather) had both passed due to complications from type 2 diabetes. I was heading down the same path, as my condition could have been described as “diabesity” – skinny fat, where I didn’t look too fat with clothes on, but without my shirt, my body told a different story. Since I changed my main habits of eating and drinking Shakeology, my energy is easily double of what it used to be. I don’t crave food like I used to. I feel like my core strength has drastically improved so that I’m functionally more fit. Back strains were common in my past, but NO LONGER! 3) How has the support of a coach and this team helped you? The coaching and team have made all the difference in my pushing myself harder. Case in point, I saw David Ingram post about how many reps of a certain move in P90X2, the next time I did that move, I tried to beat him. The accountability I’ve had with my nutrition has been the biggest improvement. Really watching my calories and learning to eat properly allowed me to transform my body and my overall health. 4) Besides the support of a coach & team, what was the key to your success? DIALING IN NUTRITION was key to my success. I had done both P90X and Insanity prior to really working on nutrition with my coach. Once I fixed this, I was able to get the success I was looking for. 5) What tips would you give to someone who is new and starting out?